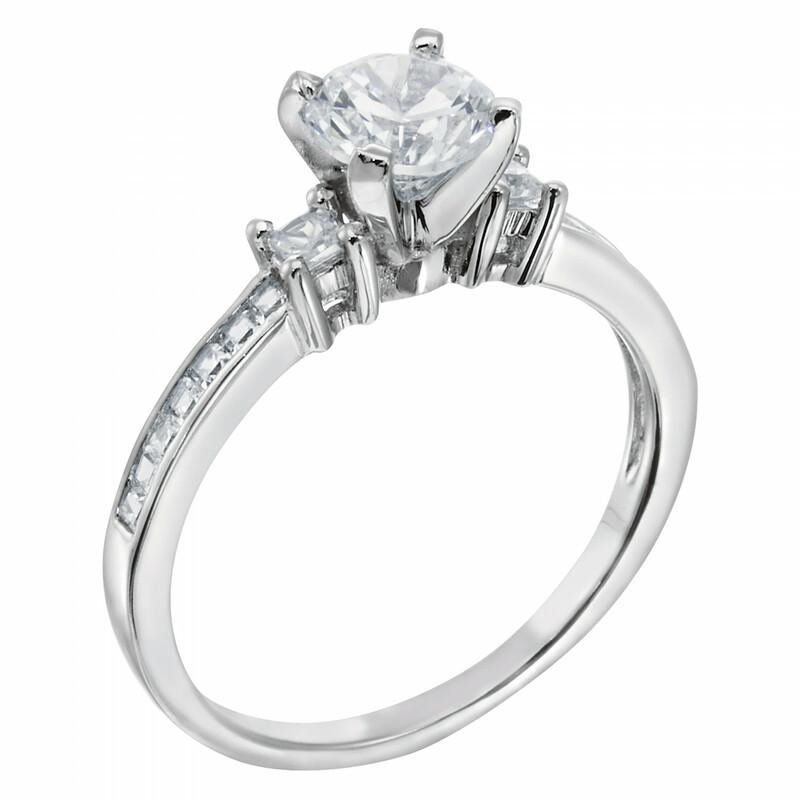 Kit - 14k White Gold - Ring Size 6.00-6.50 was added to your cart. 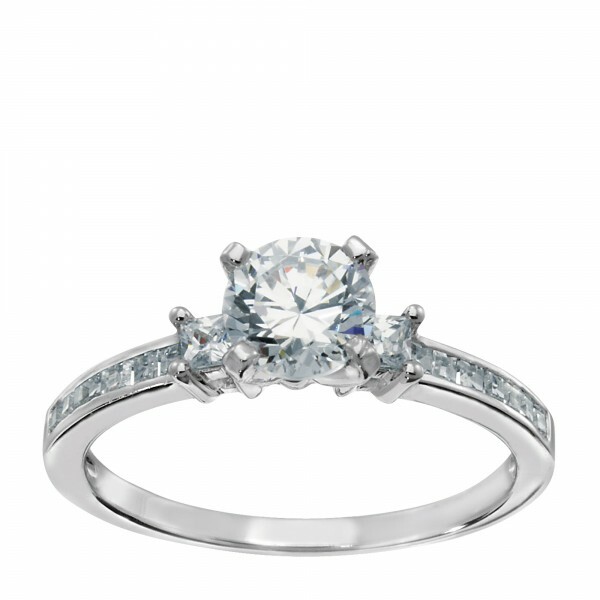 Spritely and romantic, this affordable engagement ring from our Petite Collection will capture hearts wherever you go! 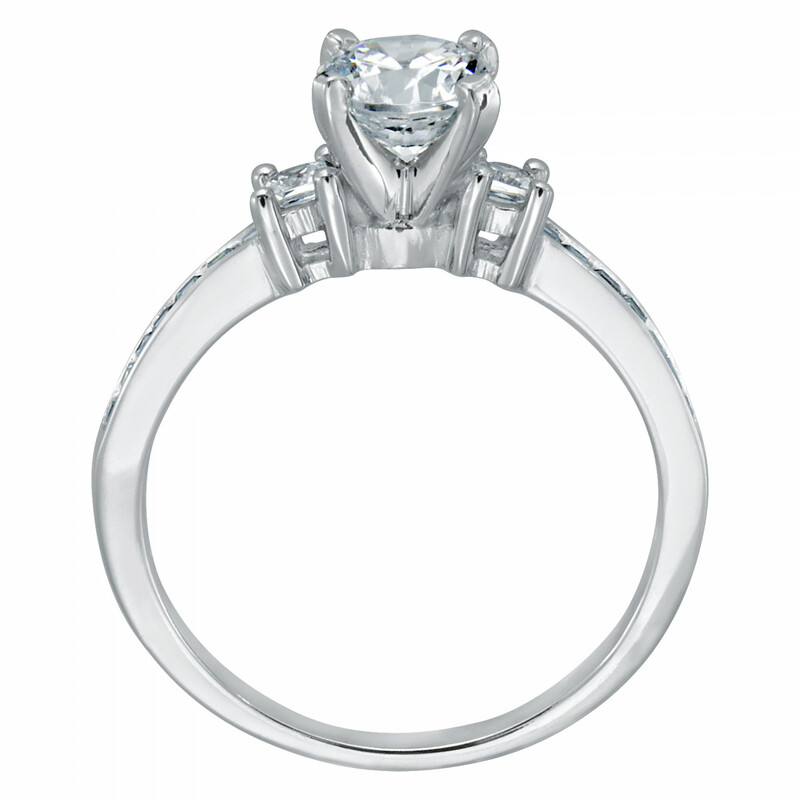 Fourteen channel set Princess cut diamond simulant stones fill the band, plus an additional two Princess cut jewels accenting the shoulders just beside the center stone for a total of 0.33 carats in accents alone for a great low-cost engagement ring option.